In case you didn’t know, I love a good planner. I have probably purchased every “big name” planner that has been released along with a few cheap Target versions as well. No one needs 5 planners for a calendar year, but I just can’t seem to find ONE planner that does everything that I need. You are probably experiencing that too. How can you track your life, business, goals, and your income? The best tip is to create your own planner! Luckily, Restored 316 Designs has an awesome business planner that can help you get organized. What makes this business planner an awesome option for you is its price and flexibility. You can print off the pages that you need as many times as you want. Add some dividers and pop it into a binder and get ready to be ORGANIZED once and for all. The 2018 version has just been released, and it has everything that you need to get your business and life organized. To get started, head here to buy the planner and SAVE when you shop! Psst… when you buy the business planner, you also get SPREADSHEETS! You can keep your business organized both digitally and through a snazzy binder. Plan the way that works for YOU. Whether you need a place for your blog post ideas or a functional calendar to keep you organized, this business planner combines the best parts of traditional planners and rolls it into one easy to use printable pack. Combined with the added option of digital files and spreadsheets, this is a steal for the price. What is your favorite way to organize your life? Have you tried the Restored 316 business planner? Organize your business (and your life!) with Restored 316 Designs Business Planner. It includes printables AND digital spreadsheets to help you get organized! Planners are awesome at keeping everything organized and prioritized! Some are so cute and pretty it makes me excited to use one. That planner looks fabulous! I have been looking for a new one for 2018 for the blog, so this came at a really great time. I didn’t even know this planner existed! I live and die by the planner. It keeps everything in my life and my business organized! I don’t use planners because my real issue is consistency. i seem to start out really excited filling it out every day with entries and then after two or three months, I just have so much to keep up with that I lose interest. I will try again next year. 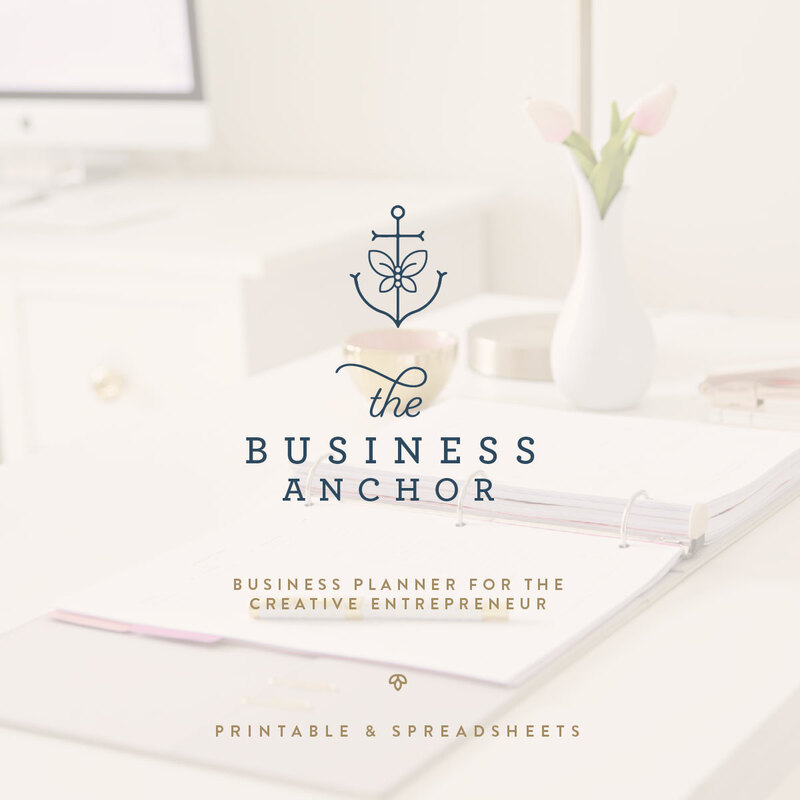 This business planner looks like something I would love to try out. Perfect blog post for business owners. And yes, planner is one of my must-haves. These tips are great, so helpful and effective! Looks like a really awesome planner. It is going to be a perfect gift for my daughter. She loves planners and I know she’ll love this one more than the others that she has. I love all the Year at a Glance. That would be fantastic! That’s a really good planner! I really like that there are different sections from this planner, from the daily to the weekly to the monthly! Not to mention that it’s really pretty as well. I use to have five planners for everything. I’ve gone mostly digital now and I absolutely love being digital. Works so well for me. But I would love to go back to paper if I could find something that fit everything I needed! This one looks awesome so I’ll have to consider it! A great blogging planner is hard to find! I found a pretty good one the first year I was blogging. It had everything that a blogger would ever need from expense tracking to monthly traffic, etc. Then they didn’t update it for the following year, and the dates were all wrong. I ended up for the past two with a great spiral bound planner from Target, but printed out lot’s of planning pages like what is in this one. This one seems to include it all! Great blogging planner! I love planners but I always forget to write in them. I need to be more committed to planning and organizing my business in my planner. I will defiantly look into this planner. That’s a really nice business planner. It’s so important to be organized. Running a business is difficult. So it’s great to have tools that help. And it you find something stylish to keep yourself on track, all the better. What a great planner. I like where you can keep up with site stats. I have a Restored 316 theme on my blog too. Beautiful planner. I have heard great things about this planner. I need to check it out. It is time to start thinking about a new one. It seems like a great business planner. I think it helps me to be organized my blogging schedule. I will definitely check this planner. I usually don’t have the best of luck when it comes to finding a good planner either. Most of the ones I’ve used in the past fell apart. Thankfully, the one that I have now hasn’t done that. I’ll have to keep this other planner in mind in the future, though. Planners are seriously as must have in my life. This one looks like it has everything that I would be looking for. I wish I used planners more. I always spend so much money on them and they just sit. I love restored 316. So awesome to see this had no idea! I’ve been trying to find a planner that covers things like this. Does it happen to have a national holiday calendar to keep up with hot topics each month? That would be amazing! I’ve tried a couple of the popular planners and haven’t fallen in love with any of them. I feel like I’m still trying to find the perfect planner so this might be just the one I need. I like that there is a digital version so you can customize for your needs. That looks like a really great planner! I do all of my planning on my computer using Google Docs. Remember when we were work traveling together and you helped me buy my first planner? We just moved and it’s packed away in an unknown box so I need a new one asap! Your tips are always the best and I imagine everything in your home is perfectly organized.